We play a lot of Dungeons & Dragons here, both in front of the camera on twitch.tv/dnd and behind the scenes. But there's nothing more satisfying than playing D&D to raise money for kids. 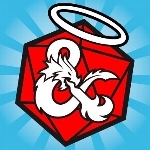 2019 is going to be our 7th year bringing the D&D community together to benefit Children's Miracle Network Hospitals. With the help of our amazing community of DMs, players, donors, and viewers, we've raised an astounding $640,000 for Children's Miracle Network Hospitals since 2013! This year, we'll be pulling together many of our livestream gamers to broadcast D&D sessions from multiple locations across the globe.